Photo: Robert Voets / © 2016 Warner Bros Entertainment, Inc. 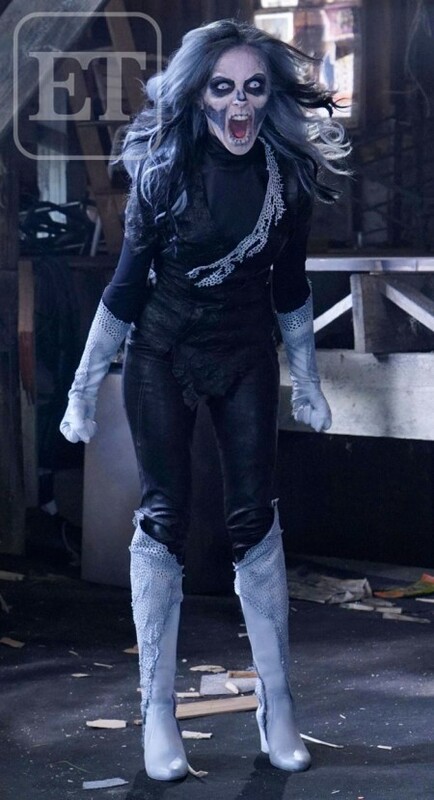 Here's the first look at Italia Ricci as the Silver Banshee from the set of 'Supergirl.' She'll play Siobhan Smythe, a second assistant hired by Cat Grant (Calista Flockhart) who immediately starts trying to one-up Kara Danvers (Melissa Benoist). ET Online had the exclusive scoop. "We are so excited to be working with Italia. We've been a fan of her work for years and we cannot wait to see her take on this iconic comic book role," executive producer Andrew Kreisberg said to ET an exclusive statement. Ricci will make her Supergirl debut as Siobhan Smythe on Monday, Feb. 22 at 8 p.m. ET/PT on CBS. Later in the season Kara and Siobhan will face off as their alter egos as evidenced by this set pic where Banshee will use her sonic-abilities to punish her opponent. Check out the trailer for next week's episode.